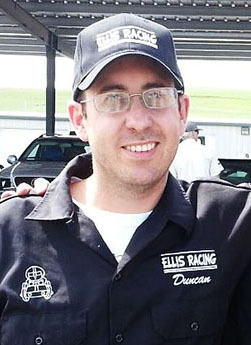 Duncan Ellis is an active duty Naval Supply Corps Officer with 10 years of service, which keeps him on the move. 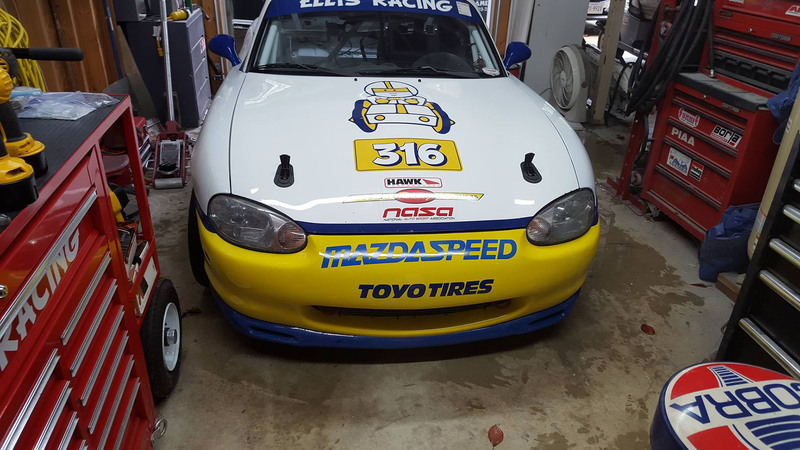 Duncan started racing in 2009 with an ST2 Subaru, but the cost soon pushed him to Spec Miata. 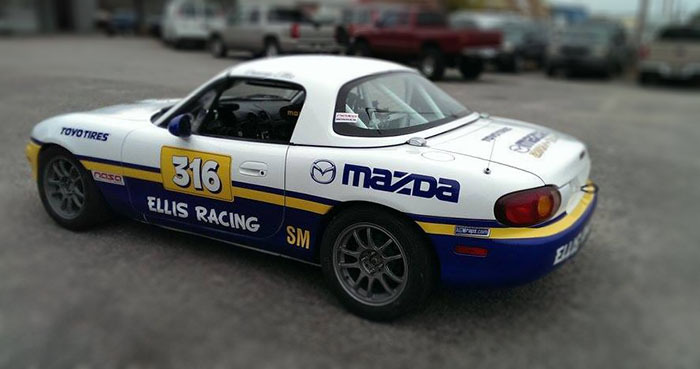 After deployment in 2009,he started building a car in the summer of 2010. he ran his first Spec Miata race in February of 2011 in the NASA Mid Atlantic Region. Then Duncan moved to Monterey California and started running with NASA NorCal. 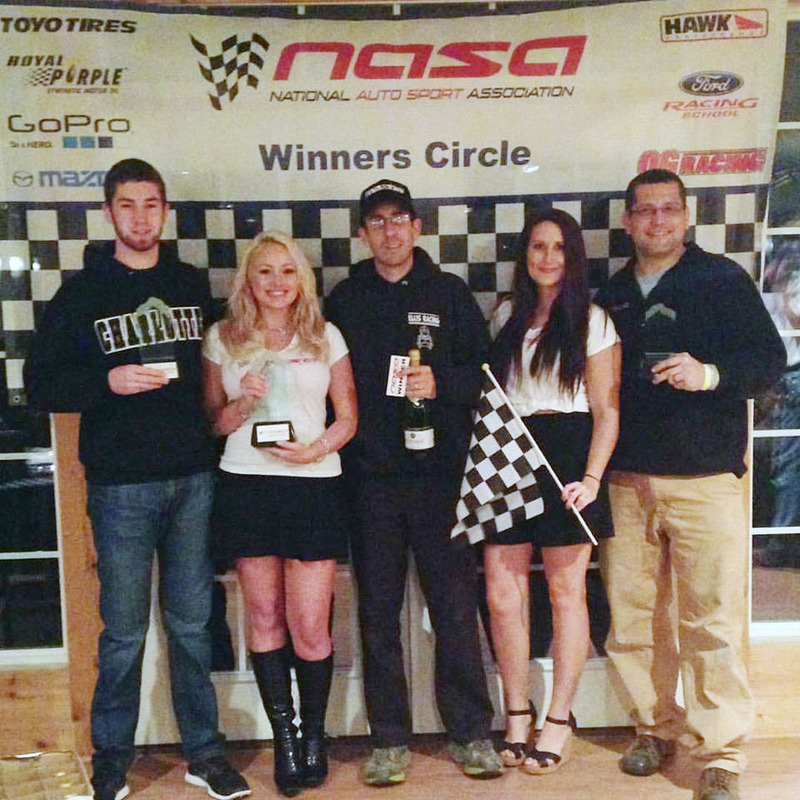 He spent 2012 learning how to really drive a Miata with the help of some great coaches. 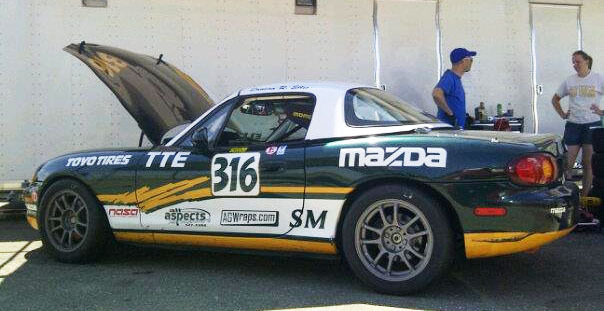 At the end of 2012 he decided to up his game and bought a Rossini Spec Miata engine. His results immediately started improving, and in the season opener at Sonoma Raceway he qualified P2 for the Saturday race. Duncan finished that weekend with two 3rd place finishes. His next race was at the NASA Thunderhill event but he DNF’d in race 1 due to a BIG off, but actually set the second fastest race lap. he then followed up his first ever Spec Miata win on Sunday in Race 2! With two years of enjoying the tracks out west Duncan is looking forward to moving back to the Mid Atlantic for the 2014 season.